Step 3. Remove the events table from the database or remove db/development.sqlite3. Step 5. Open config/initializers/assets.rb and add dhtmlxscheduler_recurring extension to the precompile array. Step 6. 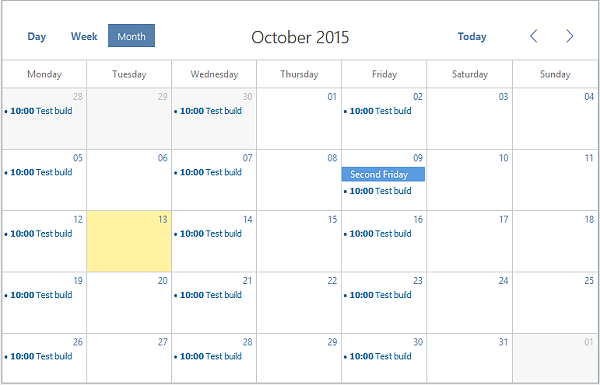 Open views/layouts/application.html.erb and include dhtmlxscheduler_recurring.js extension. If you follow the given instructions, you should now have a ready-to-use scheduler with recurring events that perfectly works with Rails framework. As you can see, there isn’t much code and integration with this framework is performed quite easy. 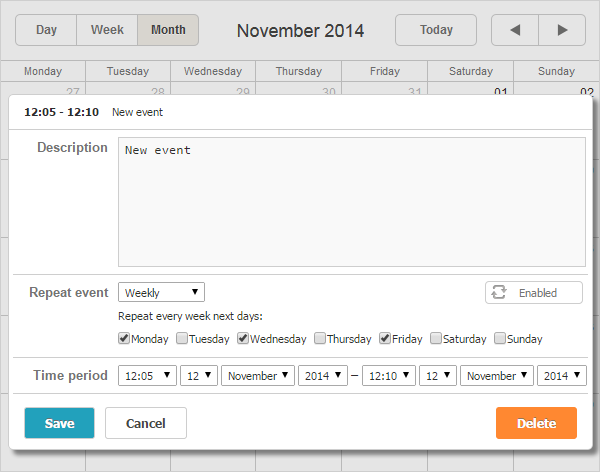 Apart from the described features, dhtmlxScheduler has very extended functionality, and it won’t be difficult to create a full-featured event calendar that will work with Ruby on Rails. You’re welcome to leave your comments and ask questions.